What was Skinner’s contribution to behavioral modification? Another critical contribution that Skinner made was to translate his laboratory research on rats and other animals into a new form of psychotherapy termed behavioral modification. Although John Watson had declared the purpose of behaviorism to be the prediction and control of behavior, he did not have much success in formulating specific techniques to be applied to everyday life. In contrast to Watson, Skinner worked out rules about how to change human behavior through the manipulation of reinforcement contingencies, in other words, the manipulation of rewards and punishments. Skinner favored the use of rewards over punishment to modify behavior, as he felt a reliance on punishment created more problems than it solved. He initially developed his behavior modification techniques for use with psychotic psychiatric patients, but variations of his techniques have been applied to work with juvenile delinquents and emotionally disturbed children. Similar techniques have been adapted for use with animal training, child rearing, and many other disciplines. 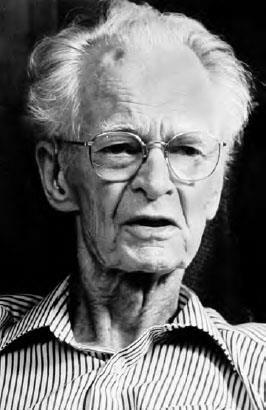 B.F. Skinner (1904–1990) was famous for his work in behaviorism.